Abstract: An important problem in commutative algebra is studying the relationship between symbolic and ordinary ideals. 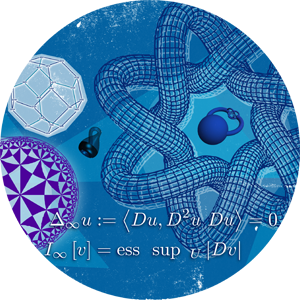 One striking result in this direction was found by Ein-Lazarsfeld-Smith, who showed that for regular rings in characteristic 0, the dn-th symbolic power of any ideal is contained in the n-th ordinary power of that ideal, where d is the dimension of the ring. Their method proved to be quite powerful, and was adapted to the positive characteristic setting by Hara and the mixed characteristic setting by Ma and Schwede. However, all of this work was done in the regular setting. This is because the above method relies on the so-called subadditivity property of test ideals, which only holds for regular rings. In this talk, we will discuss an approach to extending Ein-Lazarsfeld-Smith's result to the non-regular setting by using a new subadditivity formula for test ideals. Recent joint work with Carvajal-Rojas, Page, and Tucker shows that this approach works for a large class of rings, including all Segre products of polynomial rings. Time permitting, we will discuss how applying this approach to any toric variety reduces to solving a certain combinatorial problem.